THE PRINCIPLE OF OCCAM’S RAZOR states that “entities should not be multiplied unnecessarily” and is popularly interpreted as suggesting that among competing hypotheses the one with the fewest assumptions should be selected. It’s a problem-solving tool for scientists, enabling them to distinguish between different explanatory hypotheses. It has applications across a variety of fields, but it is particularly relevant in medicine as a guiding concept for diagnosing patients. In short, it suggests that, other things being equal, simpler explanations are generally better than more complex ones. Although his surname may only deviate from Occam’s by a single letter, a quick glimpse at the career of Ghanaian forward David Accam indicates that he does not adhere to the principle of simplicity over complexity championed by his near-namesake. To say that Accam has taken an unconventional route into elite level football would be a vast understatement. He started with the Right To Dream Academy, an independent centre of excellence founded as a social enterprise, in his native Accra. These sorts of third-party academies are found the world over and provide opportunities for academic and footballing development to those who may otherwise have slipped through the net. They’re particularly significant in Africa where, due to the developing nature of the domestic game, clubs don’t necessarily have the resources to have extensive youth recruitment networks. On a macro level these sorts of institutions, with their emphasis on selling players to Europe, arguably hinder the progress of domestic African football. That said, on an individual level they can have a significant impact on the lives of young players like Accam. Since he attended, the academy has expanded substantially, building its own purpose-built facility alongside expanding its scholarships to young men and women from across West Africa. In that time, it’s also achieved considerable success; a number of graduates of the academy have represented the Ghanaian national team at all age groups, including Abdul Majeed Waris and Razak Nuhu who have both received senior caps. In short, think of Right To Dream as a sort of privately run Ghanaian Clairefontaine. Accam left Ghana at 18 to take up a three-year scholarship at Hartpury College in Gloucestershire, England, alongside fellow Right to Dream Academy graduate Majeed Waris. While in England, Accam played for several non-league teams across the west of the country in addition to his college. His student visa prevented him playing for a professional club during his time there, but he managed to shine at both Ledbury Town in the West Midlands (Regional) League Premier Division, as well as at Evesham United of the Southern Football League Premier Division. As the league names suggest, these are clubs who play pretty far down the English football pyramid. So far you could be forgiven for thinking that, while Accam’s route has been slightly unorthodox up until this stage, it’s not entirely remarkable. After all there are plenty of examples of players making into the professional ranks from outside the traditional academy system. That’s probably a fair enough assessment. But it’s at this point that David Accam’s story takes a bit of a left turn. Finding himself without a club following his graduation from college, Accam took the obvious next step that any sensible, aspiring footballer would do: he applied for a talent competition run by Nike. In the first decade of the 21st century, the chimeric amalgam of reality TV show and talent contests took a stranglehold on the public consciousness, with shows like Pop Idol, The X Factor and Britain’s Got Talent becoming ingrained in Western popular culture. Given that these shows launched the careers of several legitimate worldwide superstars, making a shed load of money for the producers and talent involved in the process, it’s easy to see why football would want to emulate this model. After all, football is potentially the only area that can rival the music industry when it comes to a rags to riches overnight success story. Televised attempts to ape these shows failed to provide the breakout star required to give them any credibility. Both Sam Hurrell and Carl Magnay received a place in the Chelsea academy for winning Football Icon but neither made a first team appearance for the Blues and both have since tumbled down the leagues. Likewise, Ben Greenhalgh spent six months at Internazionale after winning Football’s Next Star but failed to win a longer contract and spent a brief spell with Inverness Caledonian Thistle before subsequently becoming a non-league journeyman. Nike tried a different format from these and it’s been one that has yielded more success. The competition that David Accam participated in was called The Chance and consisted of wannabe pros participating in a series of national and global trials in an attempt to impress. Ultimately, eight players were selected as winners out of 75,000 participants across 42 countries and spent the 2011-2012 season with the Nike Football Academy. Needless to say, Accam was one of the select few who were victorious. While not exactly a ticket straight to the top, winning this competition is nothing to be sniffed at. The Nike Football Academy, a grandiose name which conjures images in fitting with all the hyperbolic bravado associated with Nike’s marketing, is based in the decidedly less glamorous setting of Burton-Upon-Trent. Here they use St. George’s Park, the FA’s state of the art footballing Xanadu. The purpose of the academy is simple: provide talented under-20 players without a club a platform to secure themselves a professional contract. In this regard, the Nike Football Academy is not entirely dissimilar to the ill-fated Glenn Hoddle Academy, which sought to provide a second opportunity for players who had lost their places at other professional club academies, albeit with considerably more pulling power and worldwide brand recognition than Hoddle ever had. His time at the Nike Football Academy served its purpose for Accam as it helped him secure a professional contract. Admittedly it was with Östersunds FK in the Swedish third division, but a start is a start. Moving to Sweden is a well-trodden pathway for African players to make their way into Europe. The Nordic leagues have provided a steady stream of talent players for wealthier clubs higher up the footballing food chain who play in traditionally bigger leagues. As such, clubs in Denmark, Norway and Sweden can often seem to take a developmental role for the rest of Europe. It seems clear why this is such an established route for African players, as they represent a low-risk, high reward proposition for Scandinavian clubs; they often cost little to acquire and, if they can prove themselves in a competitive European league, there’s plenty of profit to be made by selling them on at an increased price. There’s more than a hint of colonial hangover in this process but in modern football the market is king, leaving little room for questioning the implications of transfer policy. Accam made an instant impact and it wasn’t long before the vultures came sniffing. All things told, he had played only 14 times (scoring nine goals in the process) before Helsingborgs IF, then-champions of the Allsvenskan, paid a record fee for a player signed from the third division to acquire the Ghanaian forward. Shortly after joining, he found himself with the chance to play a Champions League qualifying tie against Celtic. 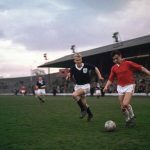 His appearance against the Glasgow side in Europe’s most prestigious club competition marked a staggering rise for a player who just three years earlier was playing non-league football in Gloucestershire. He made substitute appearances in both legs of the Champions League qualifier but couldn’t help his side as they lost both games 2-0. This slightly inauspicious start was not a sign of things to come, however, as Accam took quickly to his new surroundings and he soon began to leave his mark. It doesn’t take you long to figure out why he made such an impression in Sweden when you see footage of him playing. Pace makes you stand out at whatever level of the game you’re playing at and it’s even more pronounced the lower down the footballing hierarchy you go. And Accam isn’t just quick. He’s blisteringly quick. The chasm of speed between the Ghanaian and typical Allsvenskan defences was frightening. Watching Accam run at defenders is like watching someone play football in fast forward, somehow taking two or three steps for every one his opponents take. The sheer ferociousness of his pace makes it easy to understand why he stood out in the trials for The Chance – if he can do this against pros, imagine what he did to amateurs. Like all of the best players blessed with pace, his most useful weapon isn’t his top speed. Rather, his true strength lies in his ability to change speed. Often you’ll see him slow down in possession until he’s almost stationary before bursting past his man, leaving the trailing defender in his wake, making them look like they’re wearing concrete boots. When he’s one-on-one with the ball, he’s a Gorgon footballer – stare too long and you’ll turn to stone. David Accam leaves defenders petrified, in every sense of the word. But there’s so much more to his game than just pace. Many of his goals are scored by drifting in from his starting position on the left wing to cleverly exploit the space at the back post, or by peeling off his marker to manufacture a pocket for himself. His movement and situational awareness are the hallmarks of a wonderfully cerebral player. With a mind as quick and nimble as his feet, it’s little surprise that he started to attract attention from across the globe. After two-and-a-half highly productive seasons, Accam was on the move again, this time to Major League Soccer (MLS). In retrospect, given his history, the US seems a natural fit; his progress through a collegiate system – let alone the talent contest aspect of his career – is more reminiscent of the journey of a typical American sportsperson. Just before the start of the 2015 MLS season, David Accam was announced as a Designated Player for Chicago Fire and, as a player with explosive finishing and pace to burn, it seems only fitting that he ended up in Illinois. In Chicago he’s been utilised more centrally and also from the right, allowing him to punish teams by capitalising on the space in behind defences from a variety of angles. This positional shift helped Accam achieve an exceptional debut season. From coast to coast he left the legs of opposition defenders tangled in knots as he jinked and scurried past them with ease. He scored 10 goals in 21 starts, earning him his team’s MVP award for his performances. Within just three months of moving to the States he was selected for the Ghanaian national team for the first time. Although he didn’t get off the bench on that occasion, and had to wait a further seven months before making his debut against Uganda – missing out on a place in the 2014 World Cup squad in between – it was still another milestone achievement for someone who had taken such an unorthodox route into the game. While he has flourished in the US, the Fire’s flames have been fizzling rather than roaring. They’ve been the worst team in MLS over the last two seasons, finishing bottom of the Eastern Conference last season and languishing at the bottom again this time round. Accam’s centrality to his side as an attacking force is illustrated by their record with him and in his absence – according to Opta Chicago score 1.5 goals per 90 minutes with him and just 0.8 goals without him. It makes you wonder where they would be without him. Such a scintillating debut season was always going to garner attention and, true to form, the big boys came calling as Stoke City took the forward on trial. By all accounts he impressed but, for the second time in his career, Accam fell foul of employment regulations and found himself tangled in bureaucratic red tape. This scenario is one that fans of British clubs may have to increasingly get used to in the wake of the decision to leave the European Union as a greater number of talented players may struggle to acquire work permits. An injury has disrupted his form somewhat this year but he has still registered a decent return of four goals in 10 games so far. What is perhaps most remarkable about Accam is how consistently he performs. All too often an inability to replicate their best performances in consecutive games (or even in consecutive phases of the same game) is the fatal flaw for attacking players and the broad footballing archetype that David Accam belongs to (pacey winger) are frequent offenders, failing to ally their supreme speed with an end product. This is not the case for Accam, who has managed to score an average of a goal every two games no matter what standard he has played at, even when he’s not been playing as an orthodox centre-forward. His ability to match his performance to the level around him has been impressive and marks him as a player who has added incision to his explosive acceleration; a scalpel on the end of his speedboat. The Ghanaian is just 25 and will soon be approaching his peak. If he continues to impress and the Fire’s poor form continues, it would not be a surprise at all to see him make a move to Europe in the near future. At present, David Accam’s career is clearly something of an outlier and his deviation from more established modes of making it as a professional footballer challenges traditional ideas about career progression. But is it a sign of things to come? Could more players make it in a similarly peculiar way? Nike’s role in all of this is intriguing. Corporate interests in football are nothing new and have largely fallen into two categories to date. First, there are those companies that have been associated with clubs from their inception: think of Bayer 04 Leverkusen, VfL Wolfsburg and PSV (Philips Sport Vereniging) Eindhoven, all of whom were founded as sports clubs for the employees of their respective companies who were living and working in the local area. On the other hand, you have companies that buy controlling stakes in clubs in order to reap the benefits of association. 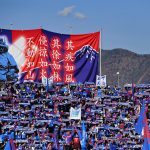 This is generally a more recent occurrence, but prominent examples include Gazprom and Zenit, Red Bull and Salzburg/New York/Leipzig, and Evergrande and Guangzhou. The main reason that the latter group are generally viewed more negatively by the footballing community is that they are perceived as piggybacking on the success of others, while stripping away the identities of existing clubs for their own marketing purposes. It’s essentially a case of creating versus co-opting intellectual property. Historically, Nike’s footballing activities have been more in line with the second group, sponsoring established players and clubs and then reaping the financial benefits of that association when they’re successful. However, there’s an argument to be made that Nike are responsible for the high-level professional careers of David Accam and fellow winner of The Chance, Tom Rogic, who is currently playing for Celtic. After all, they did scout and develop them, like any club academy would. So that begs the question: if Nike can produce their own players, and have parts of the infrastructure in place, why don’t they run their own club? It would allow them to save money on expensive sponsorship deals and enable them to run their club in perfect accordance with their own corporate interests, dodging any of the messy conflicts that inevitably occur when companies buy into existing football clubs. They’d have the perfect image enhancement machine, along with a squad of players who are tailored to specifically operate as living embodiments of their brand and indebted to Nike for their careers With this sort of fledgling success in player production and development it’s easy to see a future where more players are developed by companies or where there are more commercially created football clubs. Similarly, since Accam won The Chance in 2010, social media has grown exponentially in terms of reach and popularity. A broken format and mediocre presentation both contributed to the failure of the more prominent attempts by TV networks to copy the talent contest style for the footballing world. They struggled to find ways of making the actual trials visually interesting; they failed to attract big enough names to provide the shows with any real star power; and the follow-up on winners was non-existent. Watching someone impress in trials and emerge victorious over his fellow aspirants is fine, but what is really interesting is seeing how an amateur fares once they’re in the professional set up. Obviously that takes a considerable amount of time and requires the sort of production investment that isn’t conducive to television as a medium. But given the rise of YouTube and other content platforms, there’s definitely space to create a more viable and compelling version of the football talent competition for the social media age. Nike has continued The Chance in slightly varied formats and continues to produce players for professional clubs, but has yet to launch the career of a genuine superstar. 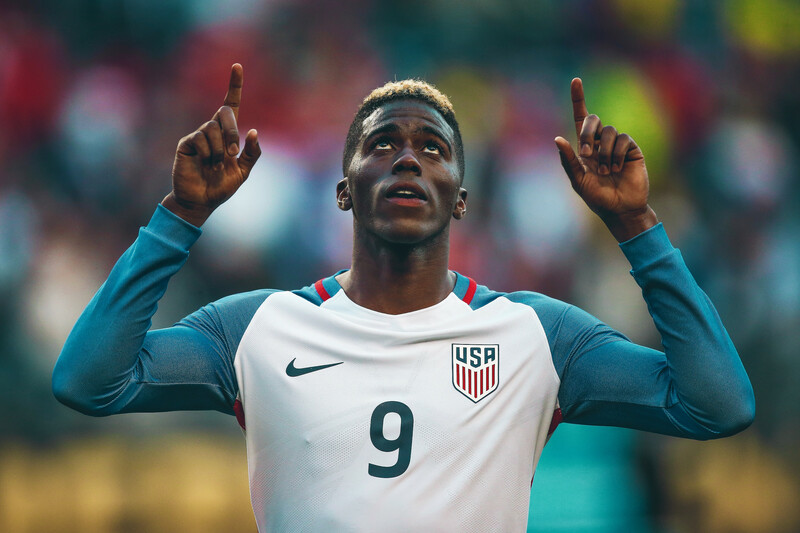 David Accam could still be that player but, if not, it will surely only be a matter of time until we get the first top-level player to emerge from this sort of background. All of this remains speculation, but David Accam’s career could signal a future where more players find their way into football courtesy of third-party involvement. At the very least he shows that there are routes into football from outside of the mainstream if you are able to find and capitalise on those opportunities. What is for certain is that Accam has had to opt for complexity over simplicity to even make it this far. In medicine, the principle of Occam’s Razor is often colloquially explained with an analogy: “If you hear the sound of hooves behind you, think horses, not zebras.” When it comes to football David Accam is most definitely a zebra, not a horse.